So far we’ve looked at why you shouldn’t EQ without listening and should limit how much you EQ in solo. 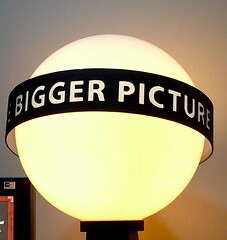 But what about the bigger picture? If you’re being a good little mix engineer, you’re making your EQ changes while listening to the entire mix. But how do you know when to cut from one instrument or another? Do you think about how making one EQ change here will affect the mix over there? Let’s say you’ve got some muddy build-up at 200 Hz. Do you cut 200 Hz in the bass? The vocal? The acoustic guitar? The piano? The answer is, of course, it depends. Depending on how much buildup is there, you may need to do a cut on more than one track, even all of them. One thing I will do when trying to make this decision is mute each of the tracks in question. Then I’ll slowly add each one back into the mix by un-muting it. Try adding them back in a different order. Which track(s) really emphasizes that 200 Hz muddy-ness you’re getting? That’s probably the one you need to cut. 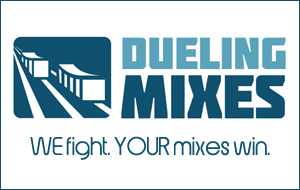 Most problems you face while mixing aren’t quite as cut and dry. It may simply be a matter of not being able to hear all the instruments at once. You’ve got the levels set properly, but you still can’t hear the piano over the electric guitar. Neither instrument sounds bad, but you can’t hear either one as clearly as you’d like. It’s time to start compromising. Which instrument needs to be heard? Ask that question first. If it’s the guitars, then determine which frequency range is the “key” range that you need to hear. If it’s 2-3 kHz, then consider cutting the piano at 2-3 kHz. What you’ll find is the EQ cut at the piano will give the electric guitar enough room to sit in the 2-3 kHz range without standing out or being too harsh. The most common place where I do this little compromising routine is between kick drum and bass. They both sound huge and massive, but when I play them together it gets all muddy and indistinct. I usually hone in on the kick drum first. If it’s really kicking at 80 Hz, then I’ll cut 80 Hz out of the bass to try to balance the two. It sounds simple, but it takes a lot of practice, trial and error, and a LOT of listening. But over time you’ll learn to love the synergistic relationship the tracks in your mix start to have. No one track is the star of the show, but each track has a specific role to play in the mix. It’s your job to make sure that track plays its role…and plays it well. Want more EQ training, including real-world examples? Click here.